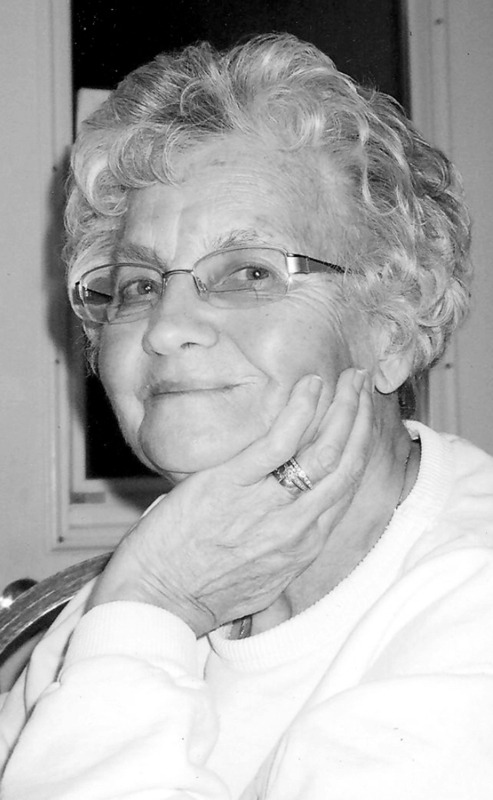 ARDITH LOREEN COOPER TJORNELUND – nee ALDRIDGE of Cardston passed away in the early hours of Sunday, April 7, 2019, after a brief struggle with failing health, just a few weeks short of her 87th birthday. She is predeceased by her loving husband David Thomas Cooper in 1975 and Otto Beck Tjornelund in 2008; also her ‘big’ brother Bill Aldridge, her sister Olive (“Auntie Crooks”) Godfrey, and her ‘baby’ brother Frank Aldridge. Left to mourn and celebrate her life is her sister Carolyn Cahoon, her twin brother Arden Aldridge, his partner Sharon Cook and her sister-in-law Madeleine Aldridge. Her legacy of loving service and dedication continues with the survival of her children – Pauline Cooper of Lethbridge, Ross (Jocelyn) Cooper of Kamloops, Diane (George) Prouse of Airdrie, Donna (Gord) Kirwan of Medicine Hat and Steve (Kirsten Cleland) deWinter of Magrath. As an ongoing part of her legacy, she is also survived by nine grandchildren, and ten great-grandchildren. Ardith was born in Cardston, Alberta on May 21st, 1932 and grew up on the family farm in Jefferson. Life on the farm was an anchor to her identity and her deep family bonds and roots became a source of pride. When she was 18 she married David and moved to various places where he taught school. Peace River Country was the first of many adventures which included Spring Coulee, Del Bonita and even to the dark continent of Africa. Home again to southern Alberta and Del Bonita, eventually moving to Cardston in 1969. The following years brought change with David’s passing in 1975, her subsequent marriage to Otto in 1977 and yet the years of service and community work continued. She was an active member of the St Andrew’s United Church congregation and a leader and strong supporter of the United Church Women group. Even as she got older, it didn’t seem to slow her down much – involved with organizations that she believed made a difference, like the Terry Fox Runs, Alzheimer Walks, the Hospital Auxiliary and so many others. She joined Lions Clubs International and that seemed to be tailor made for her (not exclusively to be sure, because she still continued to her service to the community and people of Cardston and area), But being a Lion – one of the first women to BE a Lion, opened other worlds of opportunity for her. And she embraced the challenge! She was elected as the first female District Governor in what was then District 37-D (southwest Alberta and western Montana and continued to demonstrate her leadership when she was selected to be the Council Chairperson of Alberta, Montana, NE British Columbia and Northwest Territories. Her passion for Lions wasn’t always appreciated by some, but Ardith didn’t do anything in half measures! Programs in Lions that were most dear to her was the Dog Guide program and the Lions Quest program that was instituted in schools to give young children the tools to cope with life. Ardith has received many recognitions and awards for her significant contributions and excellent service but she didn’t flaunt or advertise them, and so we don’t know all that she received. We do know that she was Cardston Citizen of the Year, she was recognized by the Alberta Government in Alberta’s Centennial and in Lions, her service was also recognized with various awards and fellowships, including being a Progressive Melvin Jones Fellow. Ardith had a determined strength that valued action and love over praise and titles. She had a loving heart, willing to assist anyone who needed a soft place to fall when life got hard. She was a beautiful woman who supported others with a dignified and graceful spirit. Ardith enriched, inspired and touched the lives of so many people – many people never really knew the hand that reached out to them, made a sandwich at school, stayed late to clean kitchen, or even made coffee in the morning. It was just there. Her legacy of service and compassion will live on in our hearts forever. May God bless and keep you Mom, until we meet again. We love you. A Memorial Service will be held on Saturday, April 13th, 2019 at 11:00 a.m., at the Cardston Alberta West Stake Center (846 1st Ave W – Waterton Highway). In lieu of Flowers, donations may be made to the Charity of choice. Søren, Else, Dan and I pay our condolences to you. We have had the pleasure of knowing Ardith and her good spirit. We will miss her and her faithful Lawson Ecards more times a year.